I am always taken aback by just how much most of us – particularly in the western world – seem to be living for tomorrow rather than today. It is almost as though we have written-off today and that tomorrow will always be better. Now I am not saying that tomorrow won’t be better or that thinking positively is a bad thing, but if we just took time to appreciate what we have today then tomorrow will take care of itself. It acts as a constant reminder to me not to forget all the good things I have in my life right now, right this minute and to be truly grateful for all of them. So remembering to live in the here and now is always a good thing, but what else might you consider doing to bring a sense of CALM into your day? I have a number of tools that I use for getting me to tune into myself and refocus on what I am doing. Take a long slow deep breathe in through your nose for a count of 4, hold it for 2 seconds and then release it by breathing out through your mouth and making a “Haa” sound. Repeat this 3 times. This not only gets you to focus on just one thing (your breathing) but gives more oxygen to the body and the brain. The result is that you feel instantly calmer and more focussed and less anxious than you did before. You can repeat this as and when you need to throughout the day and no-one will really know that you are doing anything except they will find a calmer more centred you. The brain cannot differentiate between a real or an imagined event. Therefore using the power of visualisation means that you can take your mind on a short “vacation” of 2 or 3 minutes to a time or place where you felt really calm and relaxed. All the good feelings you had when you were in that moment in time will come flooding back to you and you will regain an instant calmness about you. I know that some of you are thinking that you are not very visual, but I would challenge you to close your eyes and think of your front door, really picture it in your minds eye – the colour, what it is made of, the shape/colour of any glass it may have, where the handle is situated, where the letterbox is situated etc. I am sure you have a very clear picture of your front door right now – that is visualisation and we are all much better at it than we think we are. This needn’t be a long meditation; it can be only a few minutes in duration but will be totally transformational. Take yourself off to somewhere you know won’t be disturbed for 5 minutes, or just somewhere where sitting with your eyes closed won’t seem untoward. When you have closed your eyes, take 3 deep breaths – in and out through the nose or using the Haa technique. When you are in a calm place in your mind, empty your mind of all your thoughts and imagine a white light radiating around you. This is your safety blanket. Keep yourself in this safe, calm and relaxed place for a few minutes. When you are ready take 3 more deep breaths and open your eyes. The process of emptying your mind of all those busy thoughts just for a few minutes is extremely calming and uplifting. I am a strong advocate of journaling wherever I am. I always have a small notebook so that I can dump my brain onto paper and thus release any tension or negative feelings that I might be having. I can be found journaling on the bus, on the train, but particularly just before I go to bed. I find that by “parking” all of those thoughts until morning allows me to get a better night’s sleep. You can use any piece or paper or notebook you have to hand, but to make it more emphatic and more meaningful you could buy a special notebook just for your journal entries. I hope that you find some or all of the calming techniques that I use helpful to you and even if you are a bit sceptical about them, give them a go and see what happens. And Finally – Why not join me on Saturday 5th September to find out more about Calm Living. I am hosting a Virtual Day to support you through your Calm Living journey. During this inter-active day I will be sharing with you 4 of my very best strategies to bring back calm, peace and harmony to your day and your life. I look forward to speaking with you on Saturday! If you answered “yes” to any or all of the above then you’re definitely in the right place! If you are ready to take back control of your life and to put your needs first for a change, then I invite you to join me on my Poised for Power Virtual Day on Saturday 5th September 2009. This inter-active hands-on day will allow you to make key changes for you in such a way that you had never thought possible. You will be getting instant results in the four core areas of life all in one short day. This is your opportunity to work with me personally for a whole day for less than it costs to work with me for an hour and gain four of my best solutions to the core topics of Personal Time, Personal Space, Personal Energy and Personal Self-Care. What can you expect during this Virtual Day? So what is the true value of a programme such as this? Consider how much time, money, and energy you will save over the next 12 months by adopting the solutions that you will be taught on this Virtual Day then you are potentially looking at a figure of several thousand pounds or dollars. And then there are the additional benefits that this Virtual Day will bring to your daily living – less stress, more control, increased calm, increased energy and so much more. If you have reached the point where enough is enough and you are fed up of losing time, money and energy then you are in the right lace to start making the changes in your life that you are seeking. This one-day action-packed Poised for Power Virtual Day holds the answers. 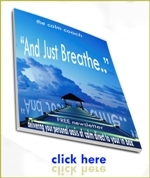 Are you ready to regain control and create an oasis of calm that benefits your entire life. If you are then join me on Saturday 5th September for the Poised for Power Virtual Day. Full details and how to book your place Click Here! Have you ever wondered about the best way to focus on a new subject or learn a new skill or technique? My preferred personal style is the “Theorist” or as I prefer to call it “Total Immersion”. This is where I try and find out as much about a topic as possible either through books, websites, DVD’s, CD’s etc - so lots of reading and research. However, this mode of learning can be time consuming and it’s not for everyone – particularly if you like to see results fast. So, what if I were to offer you an opportunity to learn four (4) new skills/ techniques in less than a day – would you be interested? I will be hosting a Virtual Day on Saturday 5th September entitled “Poised for Power”. You will have the opportunity to explore these topics and discover four (4) highly effective tools to enhance your life around them – all in less than a day. If you have any questions about the day or the format then just drop me an email to maureen@thecalmcoach.com putting “Poised for Power” in the email subject header.